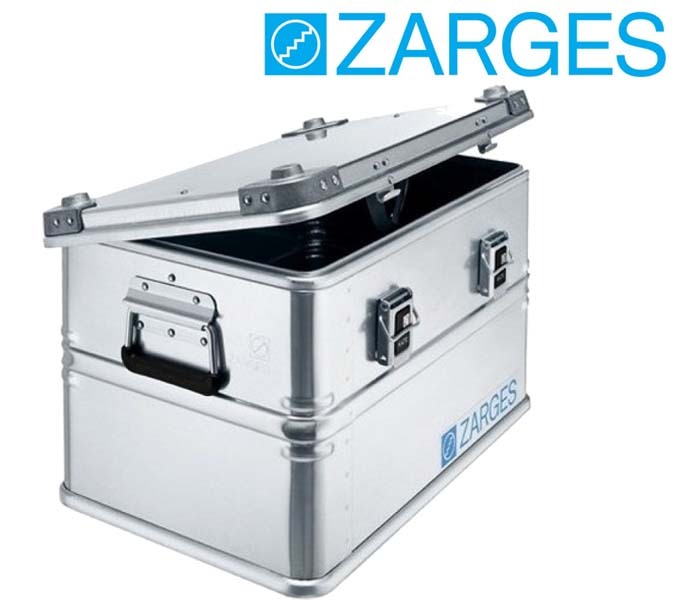 Aluminium cases provide a lightweight, high capacity, reusable solution for shipping and storage. 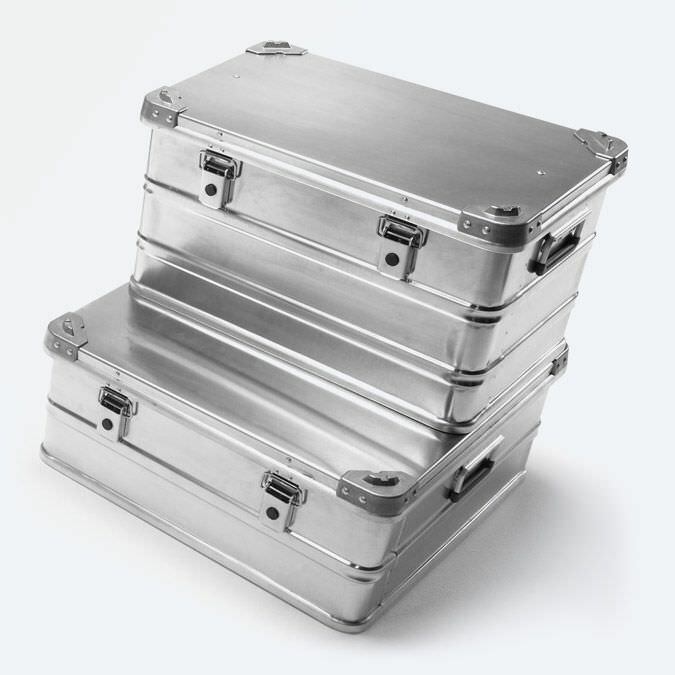 We supply industry proven aluminium cases from Zarges, SKB and bwh. Available in a wide range of sizes, all with practical features and options to solve your handling, transport and storage requirements. Our in-house design service offers adaptation of standard products and design of foam inserts. High quality aluminium containers suitable for use in a diverse range of applications. Strong, lightweight design with fully welded joints and beading for dimensional stability. Practical features include lid with stays, stainless steel hinge and foam seal all round. Cast aluminium stacking corners, ergonomic sprung handles and snap fasteners (padlockable) are provided externally. 25 standard sizes with design service available for custom manufacture. Options for painting and bespoke foam cushions. UN and IP 65 versions upon request. 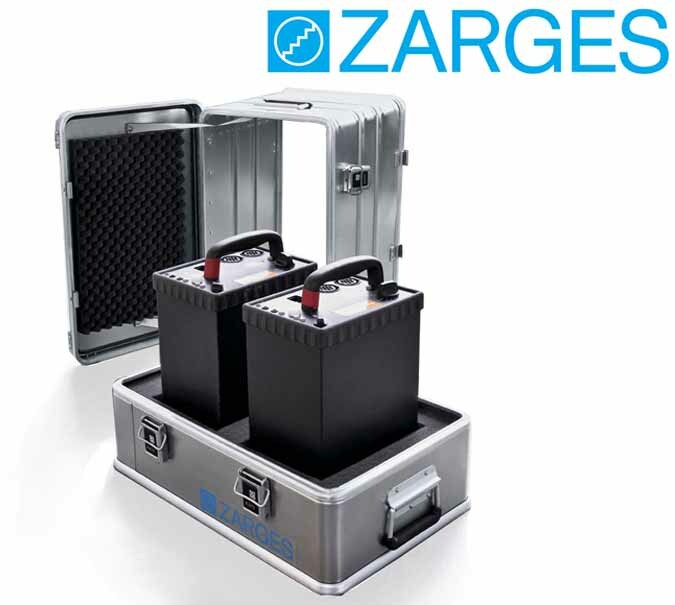 Robust, reusable IP 67 rated moisture-proof transport and storage containers. Constructed from corrosion resistant aluminium, they are designed to provide water proof protective packaging for sensitive assemblies and equipment. Stacking corners, lift off lid with all round seal, self locking spring fasteners and heavy duty sprung drop handles are all useful external features. Pressure relief valve and humidity indicator are standard supply. UN approval and RFI screening available. Custom modifications available such as sprung mounting plate to reduce the effects of shock and vibration. Specific to contents bespoke foam inserts also available. Supplied in natural aluminium with painting service as required. 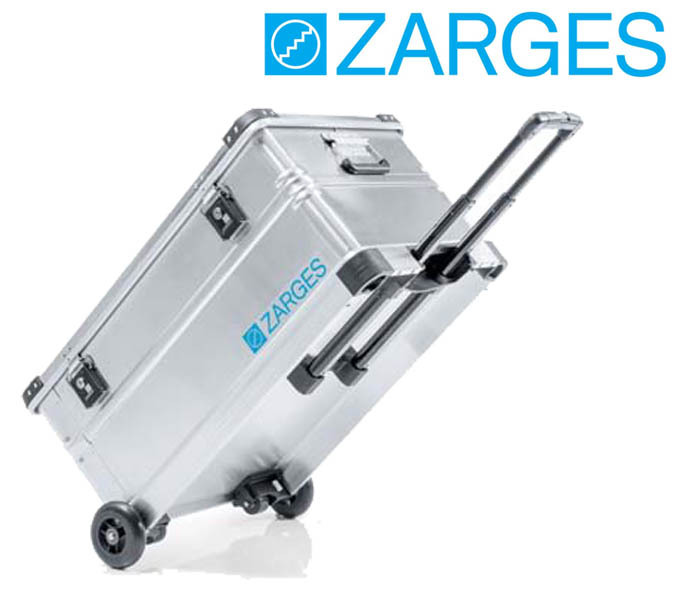 The K 424 XC combines the quality of Zarges cases with added mobility features. Integrated smooth running 50mm castors with pull-out handle or second sprung drop handle on the end face. Optional 125mm or 220mm wheel sets for difficult or off-road terrain. Stacking corners made from impact-resistant plastic and integrated stacking elements in the support frame. 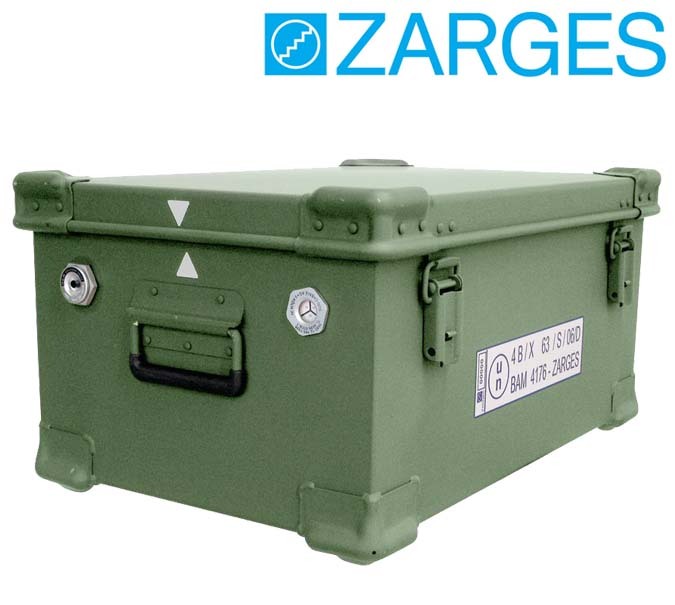 Can also be stacked with containers in the Zarges K 470 and Eurobox series. The K 424 XC series comprises 6 models with a capacity of 28 to 195 litres and can be supplied with custom foam cushions as required. The K470 Plus is a two part packaging concept, where the container base is split. 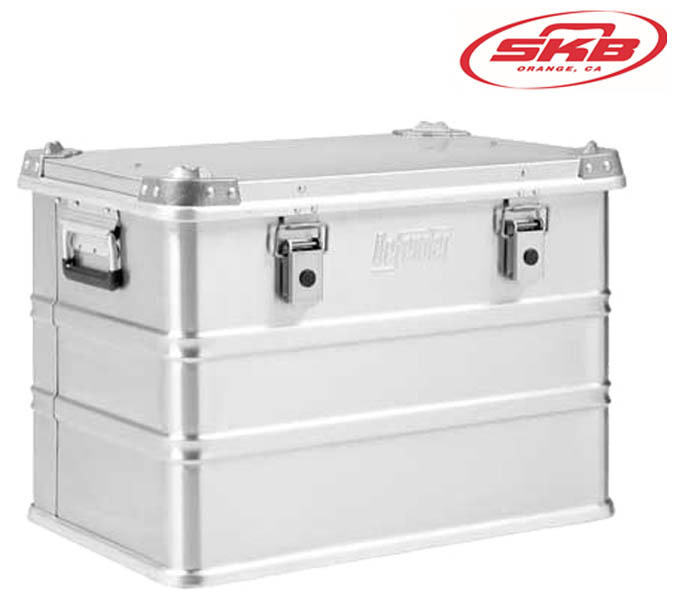 Ideal for easy access and for equipment that needs to be operated inside the case. Stackable aluminium universal container with innovative removable top section and lid. Other features roll over from the standard K470 range, stainless steel hinges and all round foam lid seal, cast aluminium stacking corners, ergonomic handles and fasteners. This range is inter-stackable with products in the K 470 series. Two basic dimensions (550×350mm and 750×550mm) available as standard, special sizes available on request. 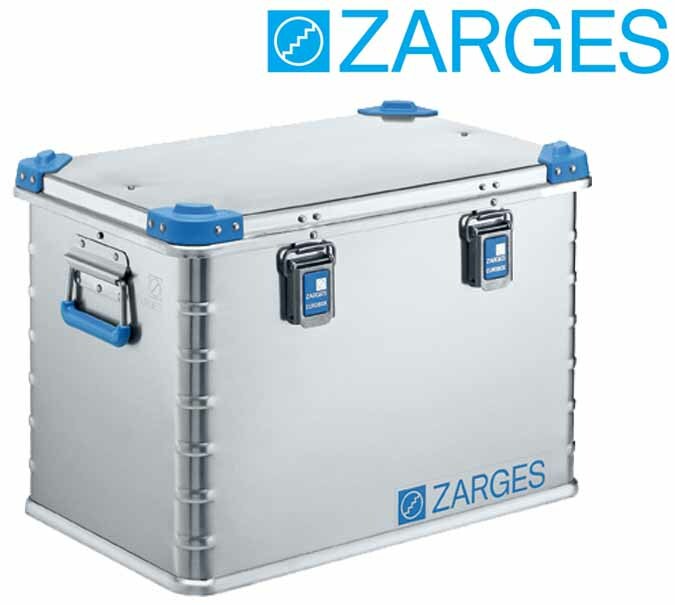 The ZARGES Eurobox is a sturdy, long lasting universal container. An ideal solution for packaging, storage or transportation of equipment. Versatile, economic aluminium box range with fully welded aluminium profile sections. Peripheral foam lid seal for protection against dust and splash water. Stainless steel fittings for corrosion resistance. Comfort handles and fasteners as standard. Containers have blue plastic stacking corners and dimensions matched to DIN 15 141 pallets. Solid workmanship for a long service life with high stacking and carrying loads relative to low dead weight. KA74 boxes are manufactured from high-quality materials and are easy to use due to their low weight and comfortable handles. The practical design has aluminium corner pieces making them stackable, dimensions have been optimized for pallet transport. The lid hinge is stainless steel and supplied with stays. The KA74 is also available with UN approval mark for the transportation of hazardous materials. A wide range of sizes is available, all of which can be supplied with specifically designed foam cushions to suit contents. Special size manufacture and painting service available. A range of accessories can be supplied including locks and wheels. 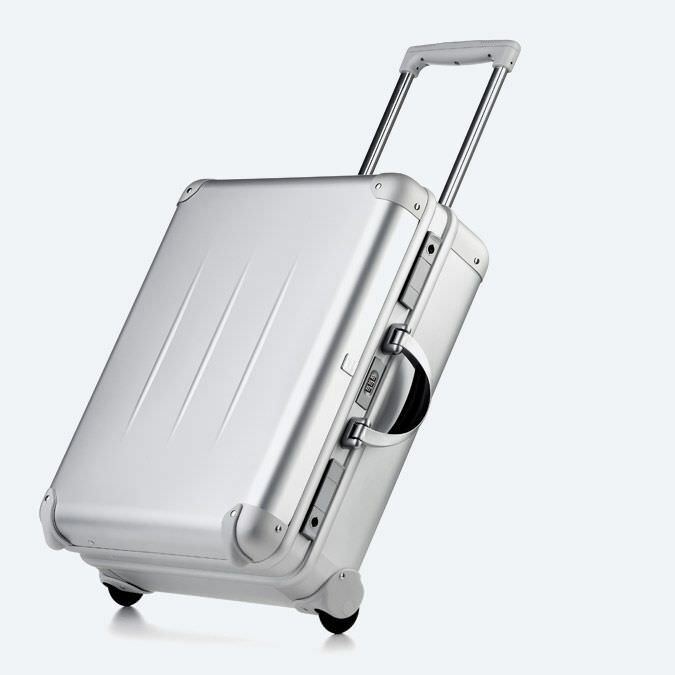 The full aluminium ALUpur case combines high-quality construction with modern design. 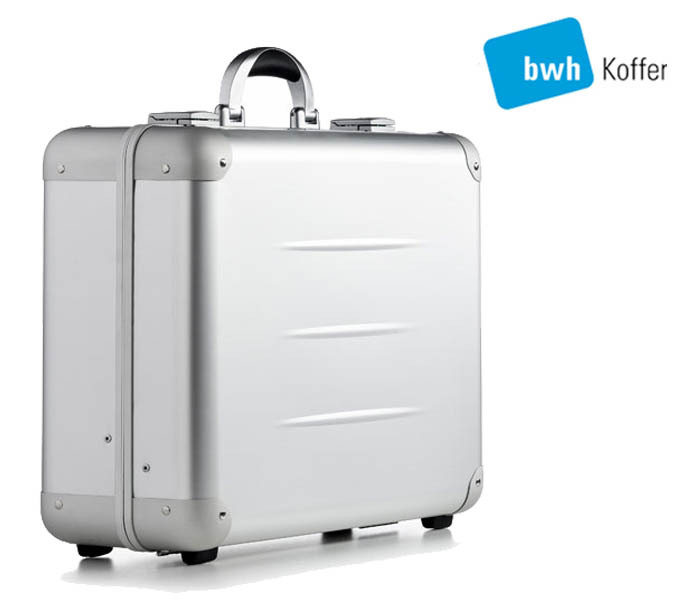 The case body is made from hardened aluminium with an anodised finish, case corners are pressed aluminium. An ergonomic handle, high-quality zinc die cast locks and robust metal hinges finish the case. 6 different sizes are available with various interior accessories.